America grip on military empire is unsustainable. The foolishness of Yankee's THAAD missile defense in South Korea is evident for all to see: Major Boondoggle targeted by China, North Korea, and the South Korean people. Distance from Pyongyang to Seoul is 120 miles (195 km). It's a similar distance from NYC Manhattan to Montauk NY at end of Long Island. Or Tampa to Cocoa Beach, the width of the Florida peninsula. Very Near. THAAD battery deployment is the wrong side of Seoul: the Seongju site is over 200 km further away near Daegu, doubling the distance from North Korean launch sites (and making that district a potential target). If a nuclear weapon explodes in South Korea, the whole region around the Korean peninsula including Japan will quickly suffer from fallout. Technically, there's no reason for a "high lob" attack. 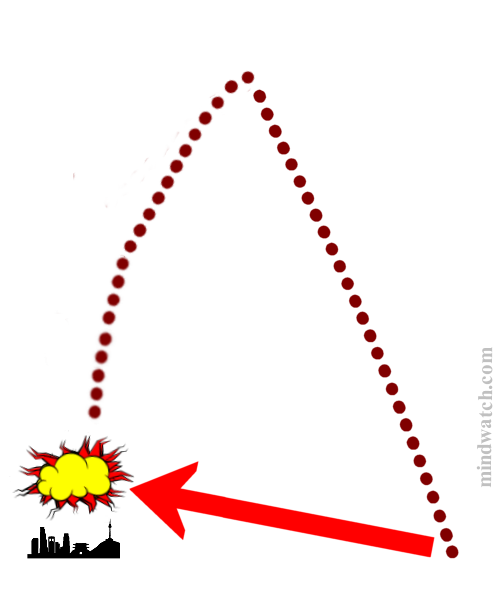 We can assume the DPRK will choose a direction and then shoot low, over the horizon, perhaps timing detonation, where THAAD provides little or no defense. Recent "failed" launches show such capability... hopefully military experts are frightened.